Owning a vehicle is a considerable expense. From the moment you put a down payment on a car, you will continue to put money into that vehicle until the day you sell it. However, you can control the amount of money you need to put into to your car with regular automotive maintenance. Autumn is a perfect time to have your vehicle serviced. Canadian winters can be very tough on a car, so you should be taking proper steps to adequately prepare it for the harsh winter season. In fact, it is the extreme opposites the Canadian climate features that can cause serious wear on your automobile. Form the freezing, snow, and ice of winter, to the hot, baking sun and UV rays of summer, your vehicle needs protection if your want it to last. With each extra year you are keeping your vehicle on the road, you are saving thousands of dollars in expenses that you would be paying if you had to buy a new car. Due to these polar opposites in weather conditions from summer to winter, it is an ideal practice to have your vehicle serviced twice a year. Once in the fall to prepare for the horrors of winter driving, and once in the spring to wipe away the winter elements and get ready for summer road trips. An excellent way to help get your car ready for winter is having rust protection done by a professional rust proofing service. If you live in the Brampton area and are looking to have your vehicle serviced before the upcoming winter season, Valvoline Express Care is a perfect solution. Valvoline Express Care offers a well-trained staff of automotive technicians that can take care of basically any type of car maintenance you are looking to have done. With over 20 years experience in automotive care, you can count on exceptional and efficient service every time. Rust Proofing services are offered by a team of rust proofing specialists. Only the best products and most effective methods will be used to treat your vehicle, protecting it from rust and corrosion. A specialized chemical compound is used that will provide long lasting protection for all the components of your vehicle. Why have rust proofing done to your vehicle? Rust proofing is good for your car for a number of reasons. It is an excellent preventative measure to protect your vehicle. By taking the initiative to safeguard your vehicle before a problem even starts, can save you huge money down the road. It can help you avoid sizeable mechanic bills and purchasing a new vehicle before it is necessary. The majority of your vehicle is most likely made of metal. When these metal parts of your car are exposed to air and moisture for extended periods of time, rust will begin to form. In the Canadian winter, your vehicle will be constantly exposed to these conditions. Throw in the road salt you will driving over every day, and you have a recipe for disaster. Rust proofing will help protect the metal elements of your vehicle from these severe conditions. The reason you should be rust proofing your car regularly is that once rust have formed, it is very difficult to reverse the process. The nature of rust is to eat away at the metal until there is nothing left. So, logically, once rust has disintegrated some of the metal components on your vehicle, there is no getting that disappeared metal back. 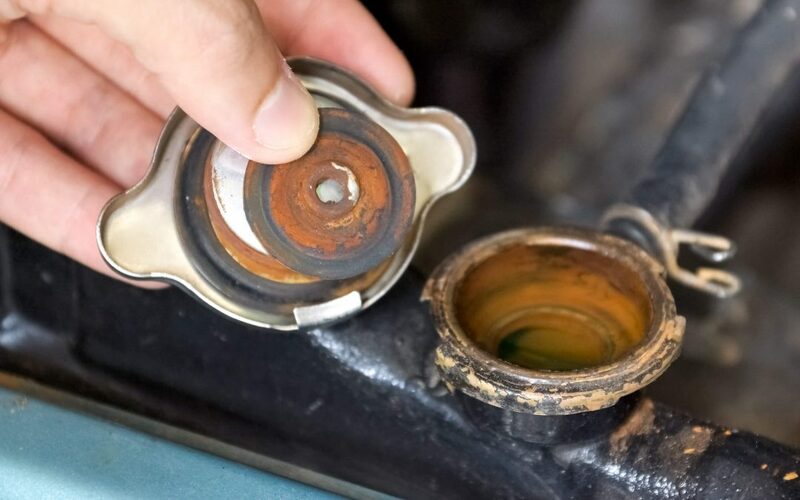 Sure, it is possible to rust proof your vehicle on your own, DIY style, but unless you are an expert it will likely be extremely time consuming with less impressive results than if you had it done by a professional. If it is cost you are worried about, it probably won’t be that much more expensive than a DIY job, once you factor in the cost of products and other expenses. Also, do you have access to a car lift, so you properly get at the bottom of your vehicle? Employing the services of a rust proofing professional ensures that will get optimal protection. A trained and experienced rust proofing specialist assures comprehensive protection. Rust Proofing is an investment. Professional rust proofing will save you money in the long run, and will give longevity to your car. The rust proofing specialists at Valvoline Express Care Brampton have years of experience behind them to assure quality and efficiency. Some warranties may stipulate that rust proofing must be done by a professional, in order for that warranty to remain valid.